As I stood in line to purchase our tickets for the ferry ride I spotted a t-shirt that said, “I Survived the Crypt Lake Hike.” Well, now I can proudly don that t-shirt! 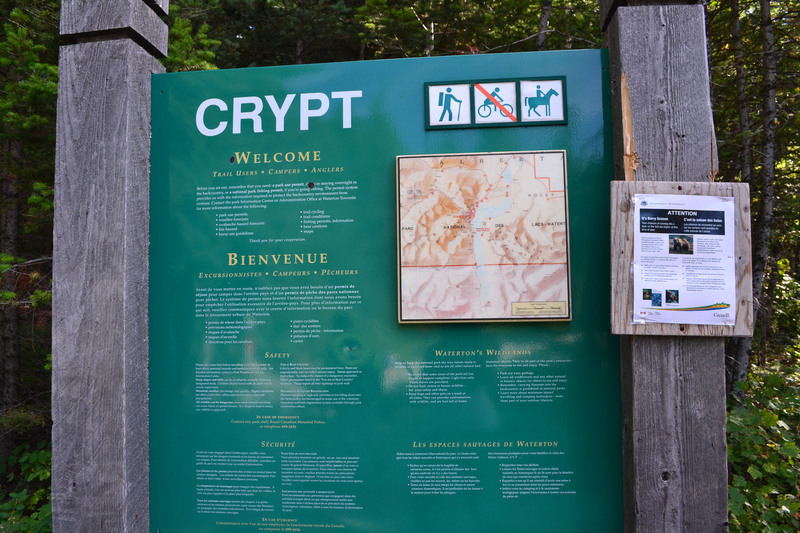 Recently we took on another hiking challenge – the Crypt Lake hike. 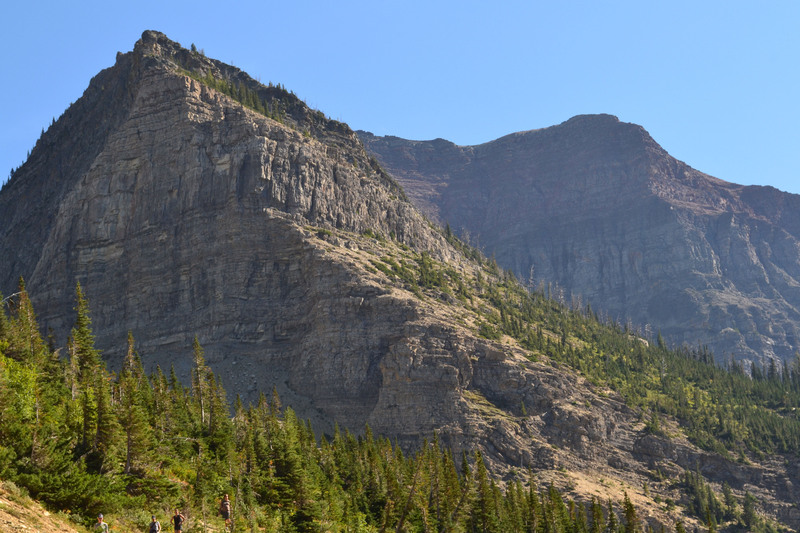 This 17-kilometre hike, which has a 700-metre elevation gain, is one of the most unique you’ll ever encounter. 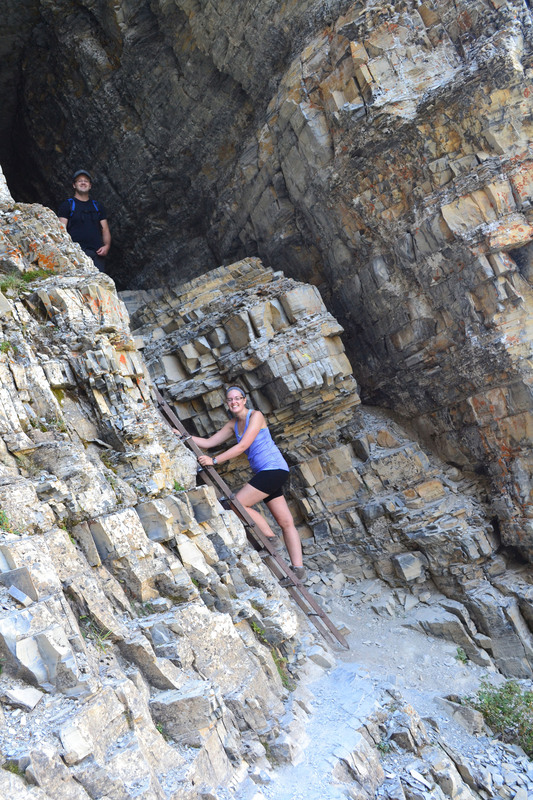 It has been voted as one of Canada’s best hikes. 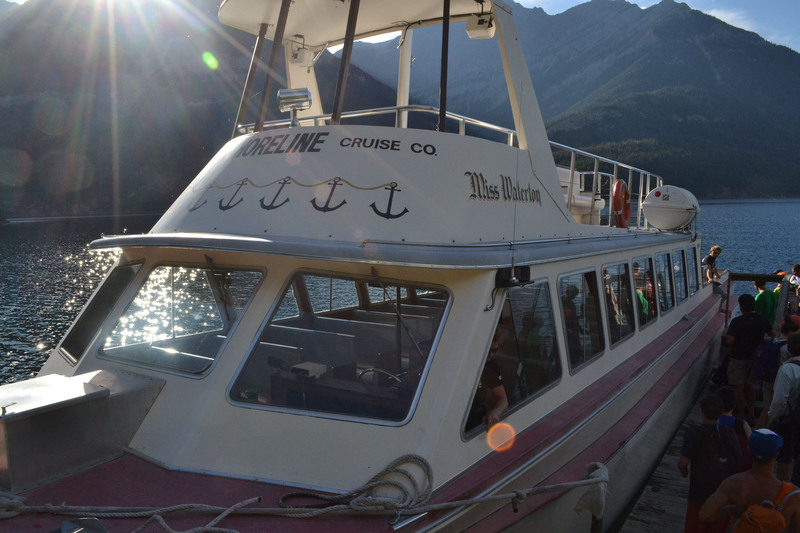 The hike features a 15-minute boat ride across Upper Waterton Lake to the trailhead at Crypt Landing. 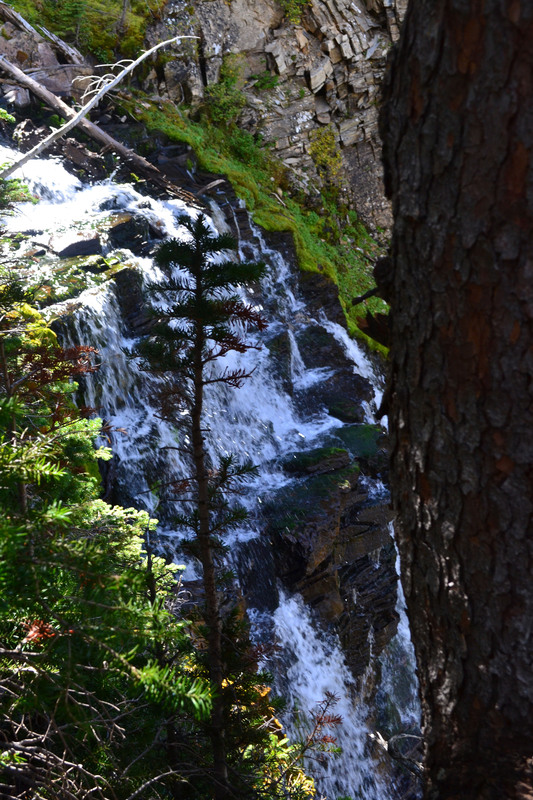 The trail passes close to four spectacular waterfalls: Hell Roaring Falls, Twin Falls, Burnt Rock Falls and Crypt Falls. 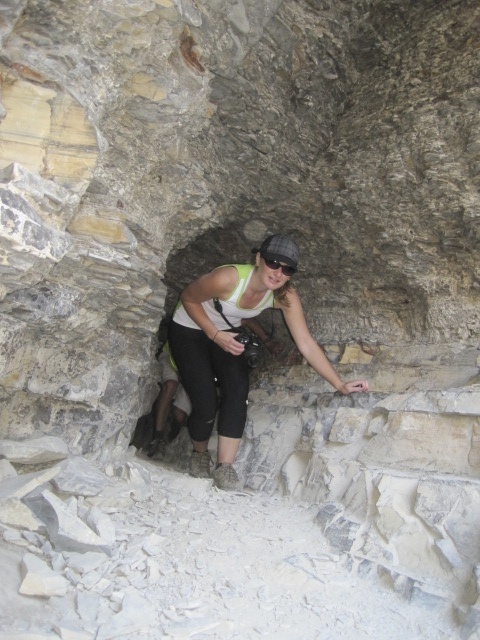 A highlight of the hike is the steel ladder and 60-foot tunnel through the mountain. 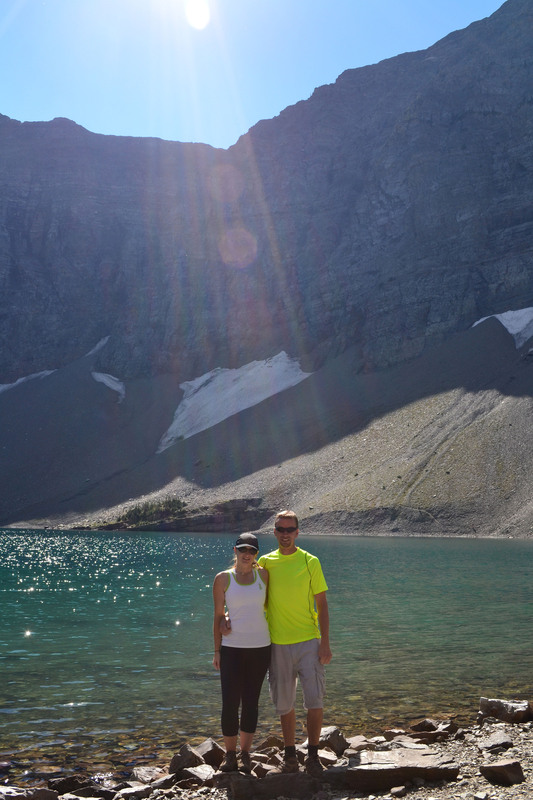 After a short maneuver around a cliff, we arrived at the beautiful clear blue water of Crypt Lake. I was hot and tired and at one point, I will admit, I was close to giving up. It was not easy. But I pressed on. And of course, it was worth it in the end. 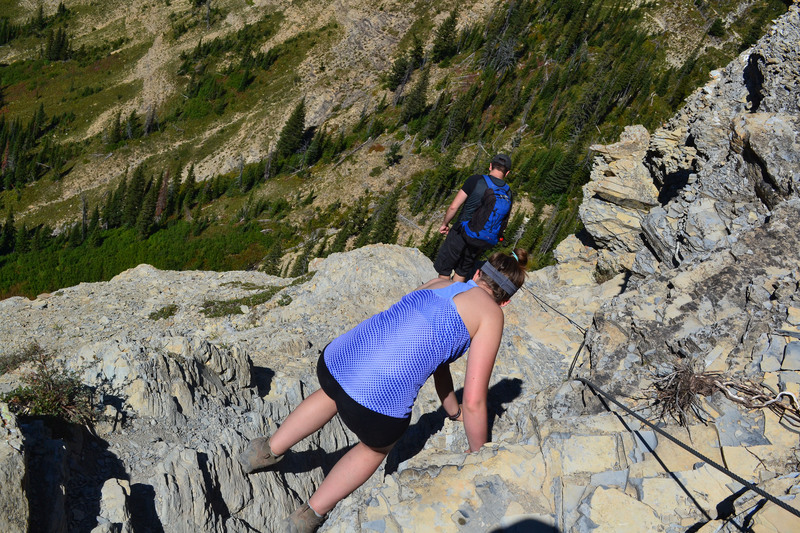 I was reminded of a valuable lesson during this challenging hike: Never give up. It could be a metaphor for life. When the going gets tough and you just want to pack it in, don’t give up because it’ll all be worth it in the end. 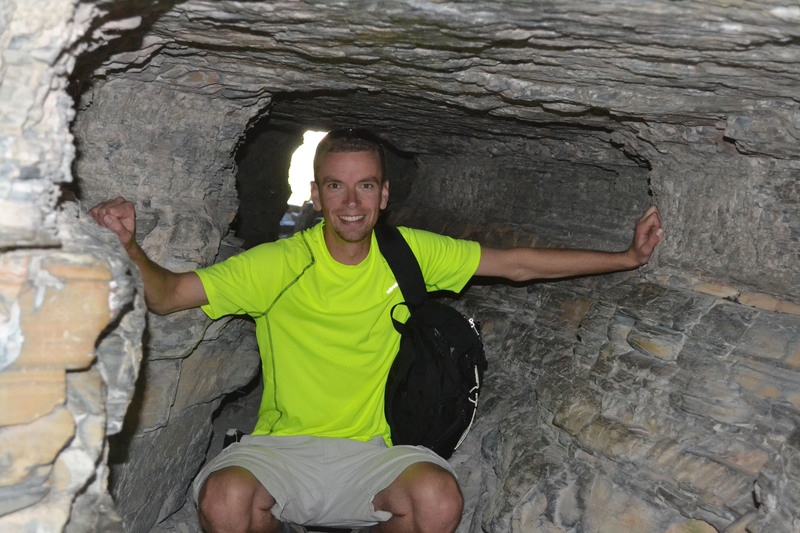 Here are some photos from our recent hiking adventure. The ferry we took across the lake to the start of the trail. Taking a break for a quick photo on the side of the mountain. 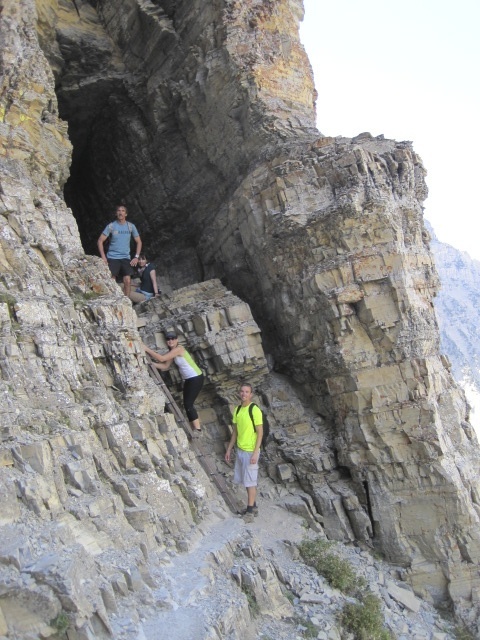 The loose rock was very hard to walk on. Making our way up the steel ladder and into the tunnel. In the distance is the tunnel we went through on the side of the mountain. Coming out of the tunnel. 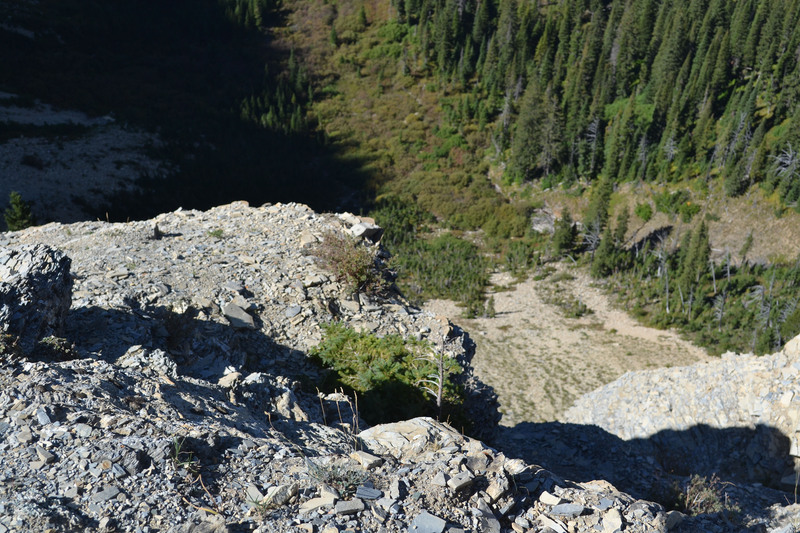 Don’t look down! 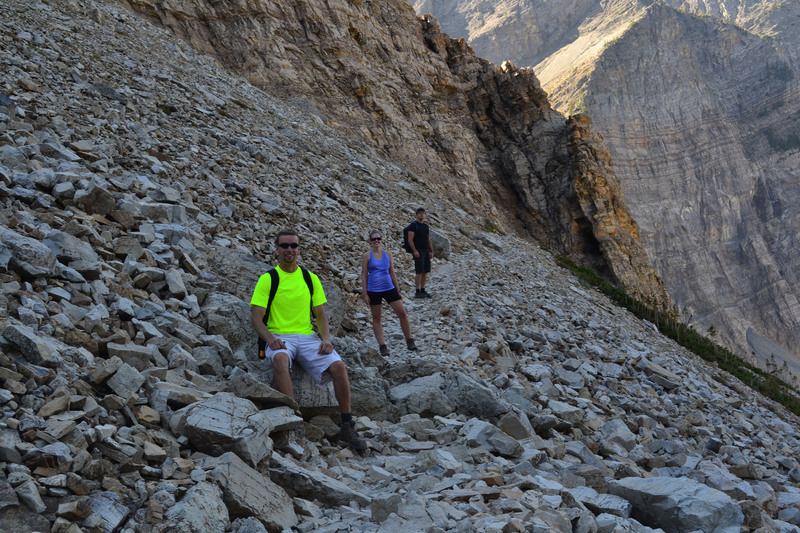 We carefully made our way along the side of this mountain with a cable to hold onto for safety. Slow and steady… making our way along the side of the mountain. 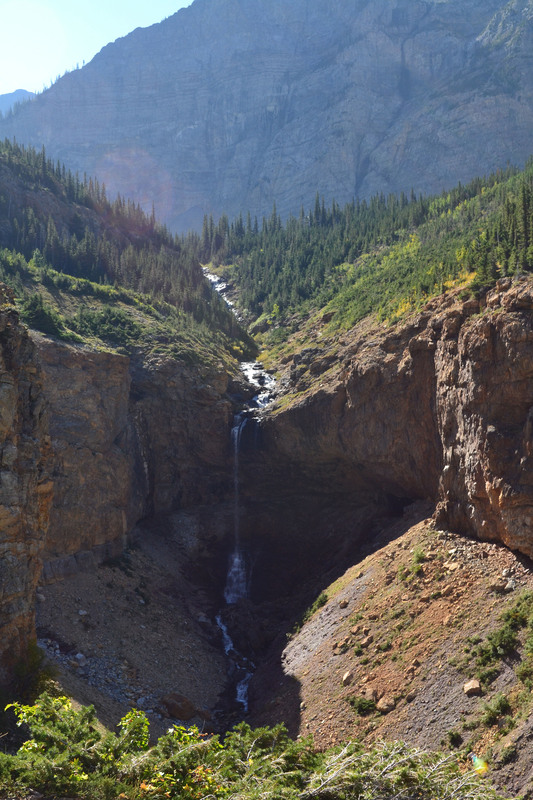 A waterfall on the side of the mountain. On the edge… this made me very nervous. 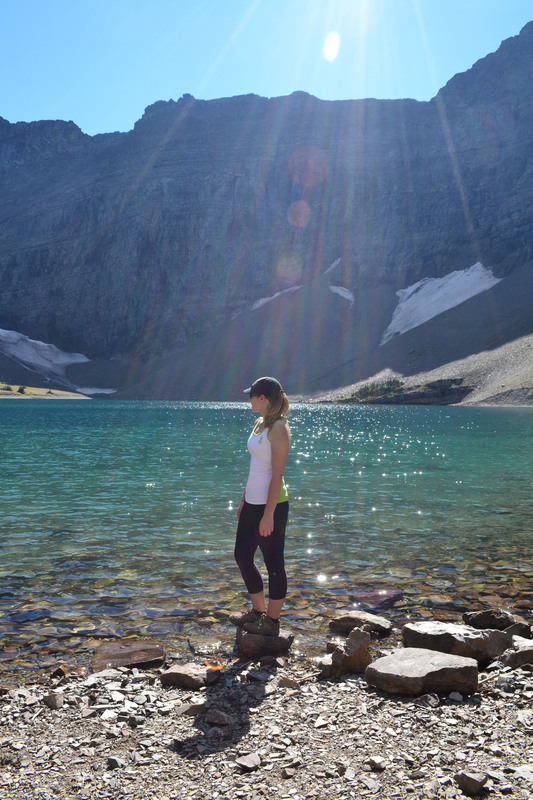 Enjoying the breathtaking view of Crypt Lake. We made it! 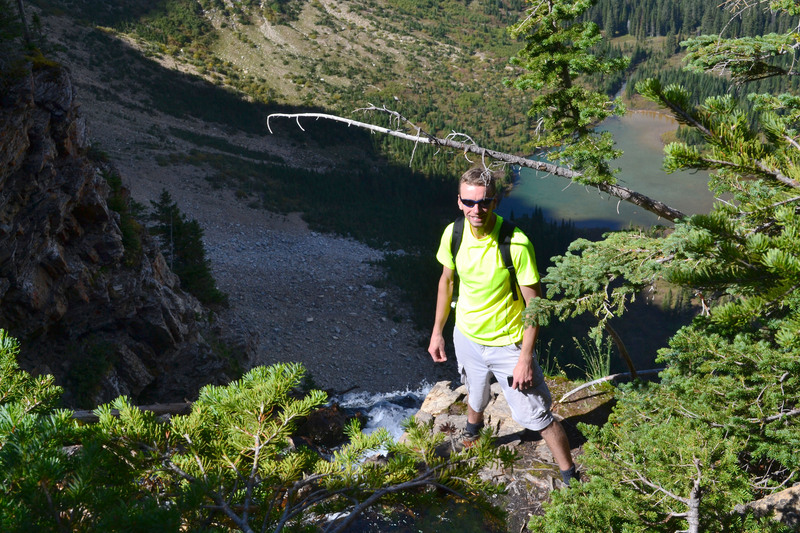 Posing by Crypt Lake at the end of the hike. And how did you go back down? The same way? Yes the same way. But going down was easier and didn’t take quite so long. Thanks for reading! great pics thanks for sharing. Will have to do this.